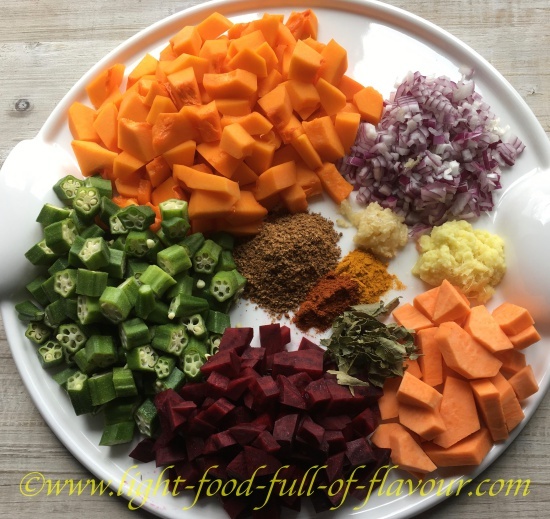 The inspiration for this Sri Lankan vegetable curry comes partly from my recent travels to this beautiful country, and partly from my introduction to Ayurveda whilst there. An amazing Ayurvedic doctor told me what kind of food was best for my body type. I was happy to discover that this meant eating mostly moderately spiced food - including lots of different spices. It doesn't take long to actually cook this Sri Lankan vegetable curry. Once you have prepared the ingredients, you just add them to a pot and let it all simmer for about 15 minutes. One of the preparations involve making your own curry powder mixture, which is also easy to do. There is no one single recipe for curry powder. The recipe I've come up with includes several different spices that are often used, and which all have different health benefits. I don't include chilli in the mixture - I add that separately to the dish instead, along with turmeric. I don't want chilli to be the dominant spice - I want to be able to to taste all the different spices I'm using. 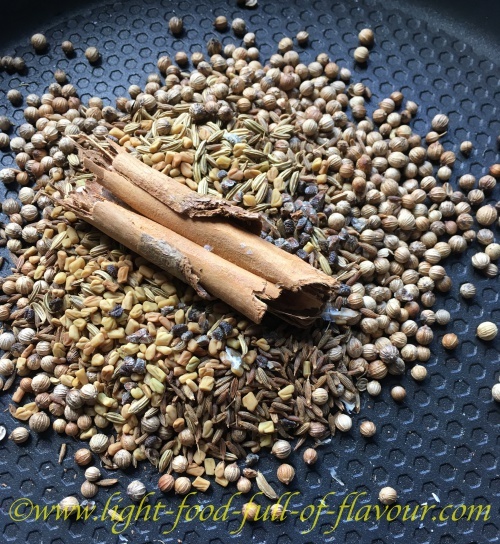 By dry-roasting the whole spices, like I do in this recipe, you bring out more flavour from the spices. This will make more curry powder than you need for this recipe. Store the rest in an air-tight container in a cupboard or in the fridge. Heat up a frying pan over a medium-high heat and once hot, add all the spices to the pan. Keep stirring the spices for 2-3 minutes until they release their fragrance. Place the spices in either a pestle and mortar or a spice grinder, and grind to a fine powder. 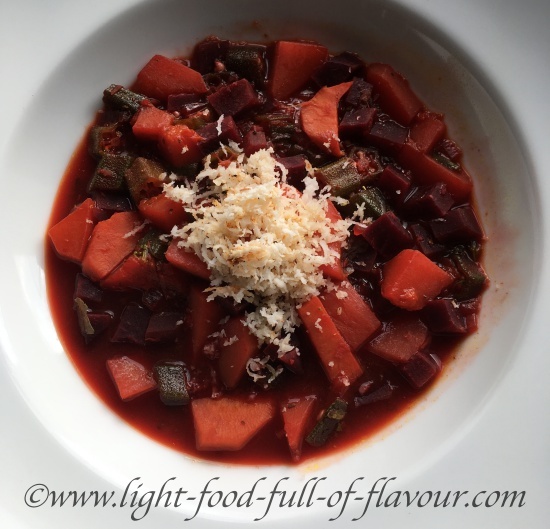 As you can see from the colour of the finished dish at the top of the page, I use beetroots (beets) as one the ingredients for the Sri Lankan vegetable curry. Yep, it colours everything else purple! I love beets and they are super healthy. When I was in Sri Lanka they would cook the beetroots in a separate curry and serve it alongside other curries. 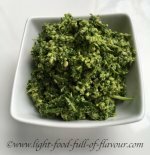 The green vegetable I use in this curry is okra, which is a common vegetable in Sri Lanka. You can replace it with chopped tenderstem broccoli (broccolini) or green beans. Add all the ingredients to a pot and stir. Bring the mixture to a simmer, cover with a lid and a simmer for about 15 minutes. I serve this curry with quinoa and some grated coconut on top.